Made in France – 50 years of Mod’s hair. 2018 marks 50 years and still styling today under the same name, which has the utmost esteem in 250 salons worldwide. 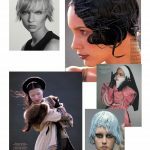 Founded on the principles of a movement focused, personal approach to hair, over the last half-century Mod’s has been stripping back the contrived, and creating looks that facilitate a client’s dynamic way of living. Even David Bowie, a man some would call the pioneer of using hairstyle to project radical and modern expressions of the self, has put his trust in the co-founder of Mod’s, Guillaume Berard. French brothers, Frederic and Guillaume Berard, came together in 1968 to invent the first session stylist agency, which they named ‘Mod’s Hair’ meaning ‘hair for fashion’. 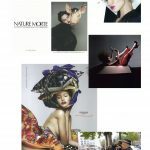 The pair operated independently in the specialist area of hair and makeup for studio work, and gained renown working for popular fashion magazines Elle, Marie Claire and Vogue. The hair behind the photos of style and fashion, the brothers Berard worked with the greatest fashion photographers in the world. Helmut Newton, Guy Bourdin, Sarah Moon… They were at service to the image, creators and couturiers. They then created what’s now known as a ‘Pop-up Store’ (hair salon) in the basement of Kenzo, Saint Tropez store for 1 crazy summer of fun. 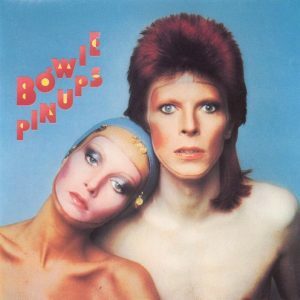 Guillaume worked alongside Guy Bourdin from 1971 through to the 1980s, their collaboration increased after the success of the cover of Vogue in 1972 with the model Donna Jordon, one of the most influential models of the time who broke the mould with her ‘gappy’ teeth and bleached hair and eyebrows. 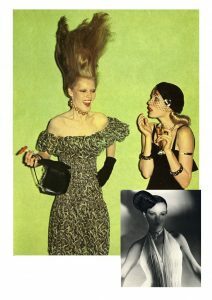 She became a muse to many, such as Andy Warhol and Karl Largerfeld. Paris in the early 70s was where it was at to gather the fashion crowd and photographers like Oliviero Toscani and Andy Warhol (as it still does today). Guillaume was inspired by Guy Bourdin and assisted him on many shoots; “he was a real character, so inventive argumentative and always choosing fun over money.” Bourdin refused to take himself too seriously, he considered photography a game with no rules or conditions. Sarah Moon was also uncompromising. The list continues: Helmut Newton, Mario Testino, Paolo Roversi, Marc Hispard, Peter Lindbergh, and many more. By 1972, Mod’s had become vastly known as the go-to stylists for catwalk showcases of ready to wear (or Prêt-à-porter) fashion in Europe. Their clients involved designers Kenzo, Issey Miyake and Thierry Mugler. At the time, these designers were the pinpoint of public knowledge surrounding a shift in trends – introducing a move from haute couture to lines offering an everyday aesthetic. 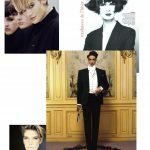 To assist the demand for their craft, the brothers then opened a salon in the area of Saint-Germain-des-Prés in Paris, and with it a whole new vision to hairdressing, creating signature techniques that set the hair free with their coiffé-décioffé style. The collections avoided lacquer, curlers, and too much over-styling, instead they worked more like designers than hairdressers. Their strong style statements were often criticized for breaking what top hairdressers regarded as traditional styling. The new opening gave the public a chance to experience first-hand these techniques that had previously only been available to exclusive fashion houses. A move that perhaps only added to the long-envied stylish appeal of the French that we still know today. The early 80’s saw the further expansion of Mod’s, as the brothers made the decision to franchise, opening prestigious salons throughout France. Years of great growth ensued which eventually led to the opening of more franchised salons overseas, beginning with Tokyo in 1981, before catapulting into global recognition – expanding the Mod’s touch to the people of Japan, Germany, Austria, Canada, Korea, Belgium, Spain, USA, Greece, Algeria, Italy, China, Portugal, Russia, Switzerland, Taiwan, and New Zealand. Mod’s hair continues its history with projects in France and around the world with over 1000 hairdressers, each with an eye on past style and future vision. To truly be made in France.